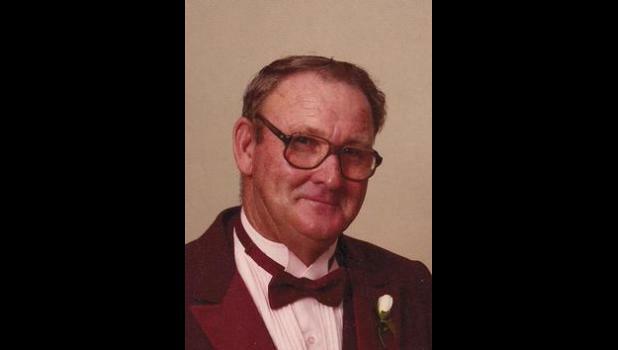 Everett Lee Hyatt, 84, Holton, died Monday, Nov. 17, 2014, in Topeka. He was born April 21, 1930, in Topeka, the son of Everett A. and Frances K. Deghand Hyatt. He had lived in Holton for more than 50 years and had also lived in Circleville and Soldier. Mr. Hyatt served in the U.S. Army during the Korean War. He worked on the line crew and as construction foreman for United Telephone, which later became Sprint, Embarq and Century Link, retiring after 45 years. He married Olive L. Place on June 23, 1956, in Holton. She died July 25, 2012. He was also preceded in death by a son, Ricky Dean Hyatt, on Nov. 8, 2008; a great-grandson, Grayson Harder, on May 27, 2008; and his siblings, Jerry, Steve and Jim Hyatt and Pat Johnson. Survivors include a son, Randy Hyatt Sr., Holton; two sisters, Mary Bryant, Topeka, and Jeanette Jef-fries, Camdenton, Mo. ; 10 grand-children, Casandra, Stephanie, Megan, Kristina, Randy Jr., Nicholas, Joseph, Katie, Crystalynn and Trae; two greatgranddaughters; and a great-grandson. Funeral services will be held at 1 p.m. Friday at Mercer Funeral Home in Holton. Family will greet friends from 6 p.m. to 8 p.m. Thursday at the funeral home. Interment will be held in Olive Hill Cemetery west of Holton. Memorial contributions may be made to Heart of Jackson Humane Society or Midland Hospice, sent in care of Mercer Funeral Home, P.O. Box 270, Holton, KS 66436.